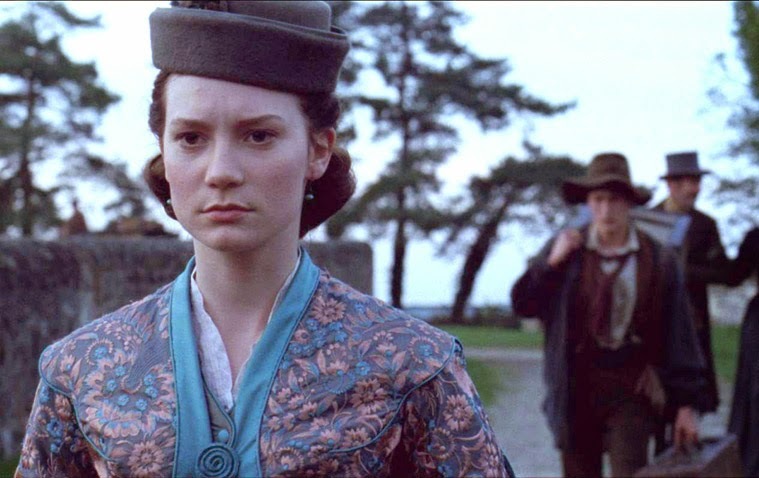 Madame Bovary starring Mia Wasikowska and Gemma Bovary starring Gemma Arterton: What would Flaubert say? also stars Rhys Ifans, Paul Giamatti, Ezra Miller, and Henry Lloyd-Hughes as Emma’s husband, Charles. According to The Hollywood Reporter the movie received tepid applause before everyone scurried off to see Birdman, the Alejandro Gonzalez Inarritu-directed film starring Michael Keaton. Well, I can't say that one doesn't look exciting! 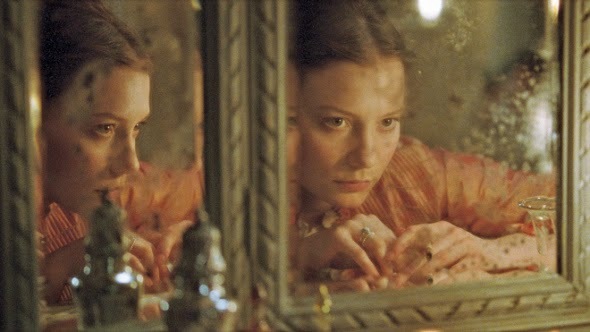 The French classic, Madame Bovary, of course, has been adapted many times. This time around director Barthes is basing her rendition on a small section from the novel. In this version Emma who marries a country doctor, longs for a more exciting and luxurious life; her boredom sends her into debt and infidelity that finally comes at a high price indeed - her life. So far I haven't been able to find even a teaser trailer but she clearly looks like one unhappy camper. Shot in the Normandy area of France - hey, Dreaming of France friends, this one's for you - by the director's husband, cinematographer Andrij Parekh, the stills at least look exquisite. The script was written by Barthes along with along with first timer Rose Barreneche along with a little help, I suppose you could say, from Gustave Flaubert. I wonder if he's rolling around in his grave in Rouen at this latest iteration or if he's too busy pondering Gemma Bovary that other Madame Bovary-inspired movie a modern re-imagining of the Flaubert classic. Both movies are due to screen at the Toronto Film Festival (September 4th-14th); Gemma Bovary making its debut while Madame Bovary makes its' second public appearance. Hopefully, a trailer or poster will ensue. I love these sort of period pieces ....the cloths, the fabrics, etc. not to mention the Normandy countryside....so I will most definitely want to see the first.... & a modern interpitation sounds intriguing too. Thanks Sim I am glad to know about these two films. I don't think I'd heard of either of those, but hope at least one will make it to small town Australia. I saw (most of) a French film this week for Dreaming of France. How can they expect more than tepid applause if they won't even put out a trailer? I agree with Sally, the costumes and settings often can carry a piece like this. I'll still go see it. Thanks for playing along.